Material: Rose Quartz & Alloy Charms. 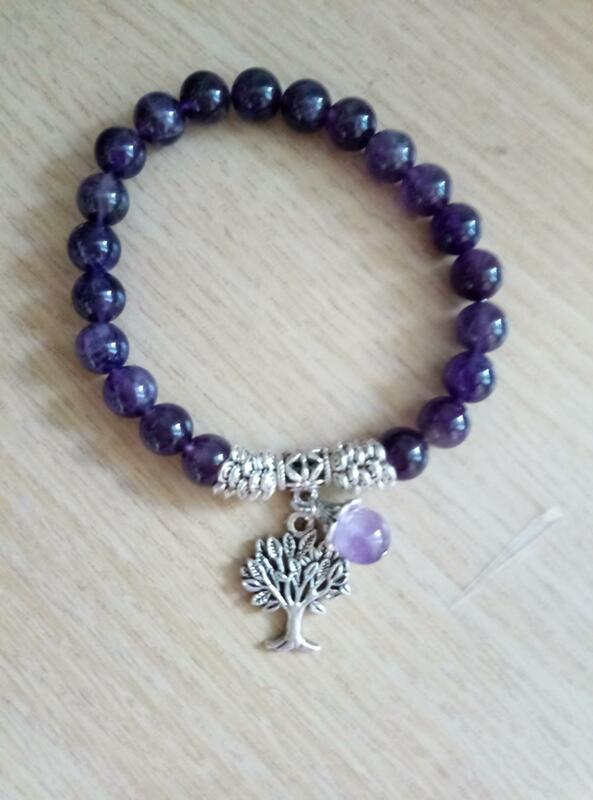 Because the Tree of Life Charm Pendants made of natural stone, each with the unique color, the bracelet beads may not same as the picture shown. Rose Quartz is the love stone! Adds positive love energy to relationships. Compassion and forgiveness. Calming, helps clear stored anger, resentment, jealousy, fears. Replaces negativity with harmony. As someone asked me about the green bracelet. I’ll give you a brief introduction. This is called Dongling Jade or Yao Quartz. 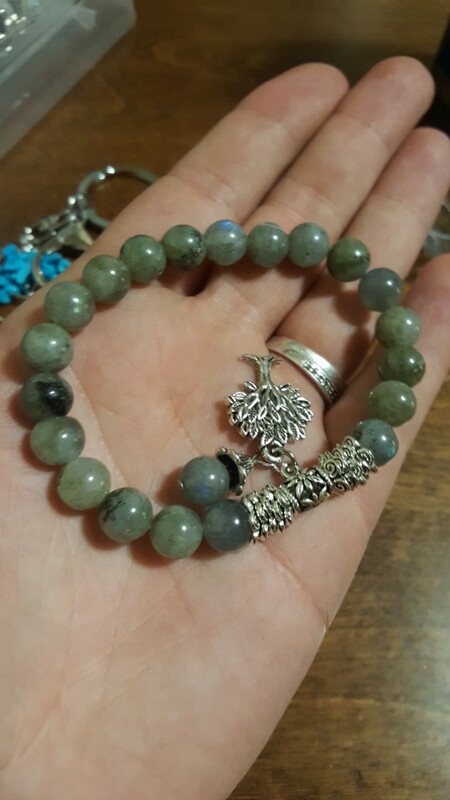 It is an ordinary jade. It’s a bit like Jade, of course, it is much cheaper than Jadeite. It is also very cold in your hands. 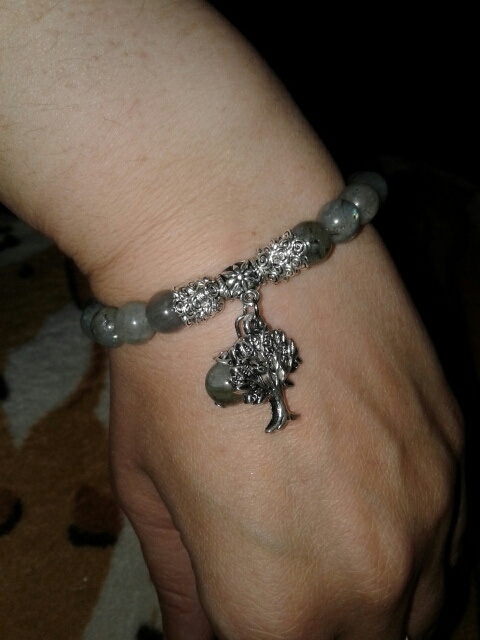 The bracelet is not as pretty as I thought it would be, there is not as much iridescence in person as in the photos, and the Tree of Life & other charms should be silver instead of zinc alloy to make them better quality. 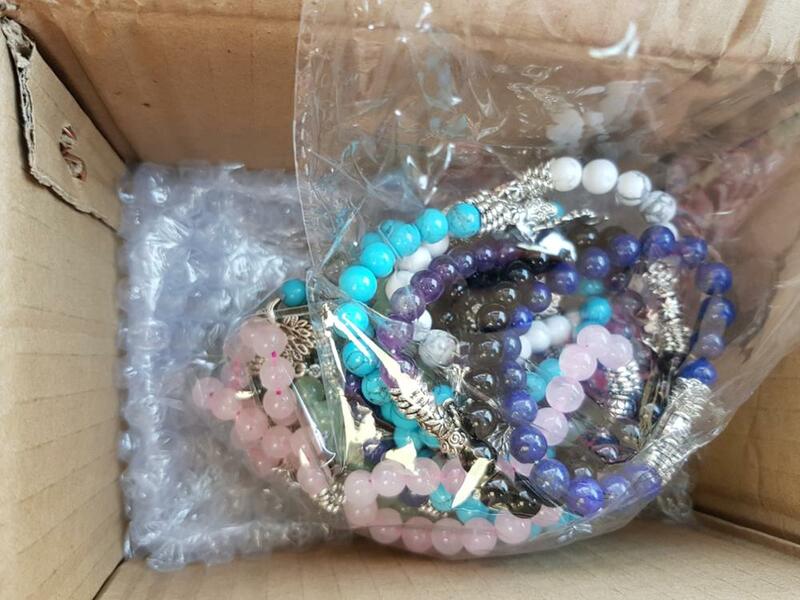 The seller does have fast delivery though, so that was very good. beautiful. nicely wrapped. such as the picture. demoró More month.